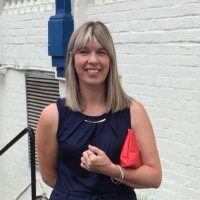 Vanessa is the Service Director for the Oxfordshire Adult Mental Health Services in Oxford Health NHS Foundation Trust and has been in this role for 12 months. She has worked in the Trust since 2002 working within the Forensic Service and then subsequently the Adult Mental Health Services working in a number of roles including Forensic Case Manager, Head of Nursing and Head of Service. Vanessa is a trained mental health nurse with leadership and management qualifications to a masters level. Her passion is to help, support and make a difference in mental health in any way that she can; remembering that making a difference in people’s lives is why she works in mental health.